Who would love a pair of wireless headphones for the child? Kidz Gear’s Bluetooth Headphones are made to be comfy for kids and can either be wireless or for those times you can’t use the bluetooth function they can be plugged into the device! Completely wireless, Bluetooth stereo headphones priced at $50! Everything you need to keep your kids occupied as you wrap up summer travel. Read what Africa’s Blog has to say about them in THIS post and then be sure to enter to WIN below!! 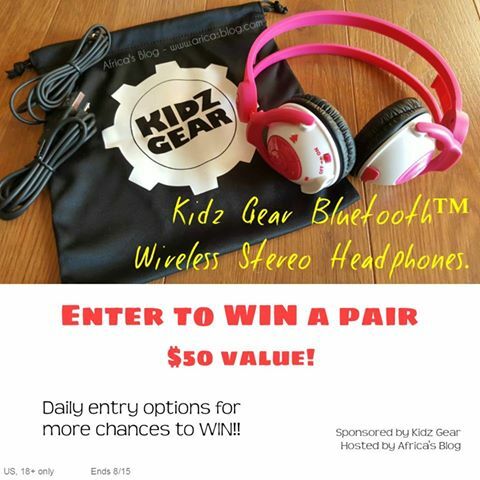 One (1) lucky winner will receive a pair of Kidz Gear Wireless Headphones (in blue OR pink) for their child to enjoy!! Come back daily for more chances to WIN!! Good Luck & Happy Wireless listening! I would like them in blue so I can give them to my youngest son. I love that they are wireless and Bluetooth enabled! Would love to win this for my daughter! I love that they are wireless, love to win them for my grandson! I would give to my granddaughter. The headphones don’t lose quality even though they are for children and I would gift to my niece. I love that they have volume limit. Adult headphones get way too loud for little ears. I would love these for my kids. 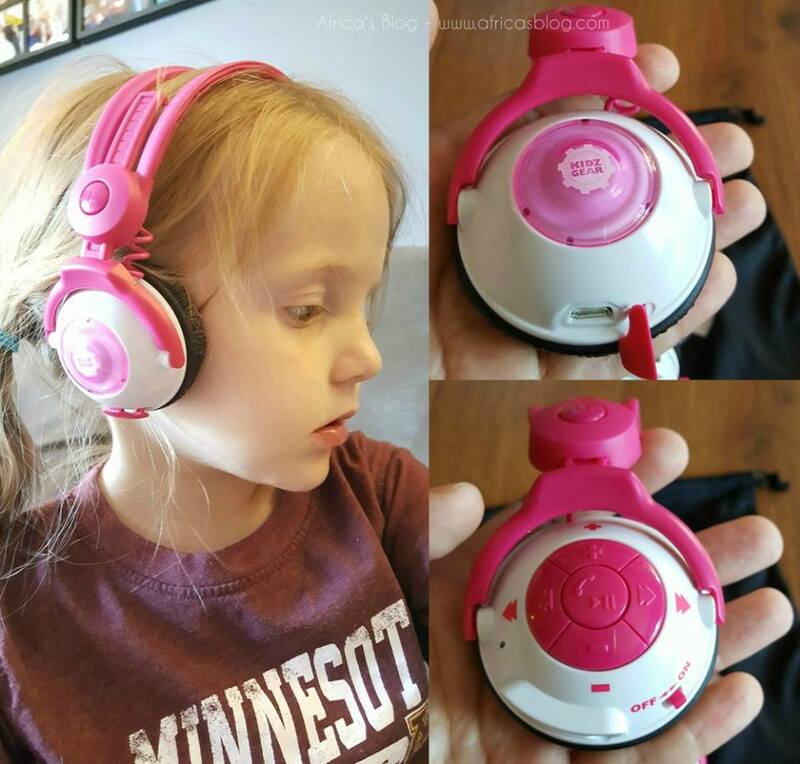 Love the wireless headphones in pink for my daughter! I would love to have these for my grandson. He needs a pair. I want to win for my youngest grandson. I would love these for my daughter she would love using them too. I learned that these headphones have garnered lots of awards. I want to win these for my daughter! my 6 yo granddaughter would get these. her 2 brothers have their own. They’re built at an adult quality level but a price fit for kids. My granddaughter would like to have these. I would like to win these for my granddaughter, who is 6. My son needs a pair of these! Great for traveling!